The German graphic design duo Ben Wittner and Sascha Thoma, founders of eps51 graphic design studio, been working very hard on compiling a solid showcase of the Graphic Design from the Arab World as well as Persia (Iran) under a book titled Arabesque: Graphic Design from the Arab World and Persia. The book looks at different fields; Calligraphy, Illustration, Poster Design, Type Manipulation, Type Design, Logos and much more. Within the pages many interviews with different artists featured, like; Mouneer El Shaarani, George Azmy, Nadine Chahine, Wissam Shawkat and more. This entry was posted on April 23, 2008 at 6:14 am and is filed under Publications, Uncategorized. You can follow any responses to this entry through the RSS 2.0 feed. You can leave a response, or trackback from your own site. Thanks a lot for sharing these images with us. I’m one of those who admire the Persian Graphic Design. 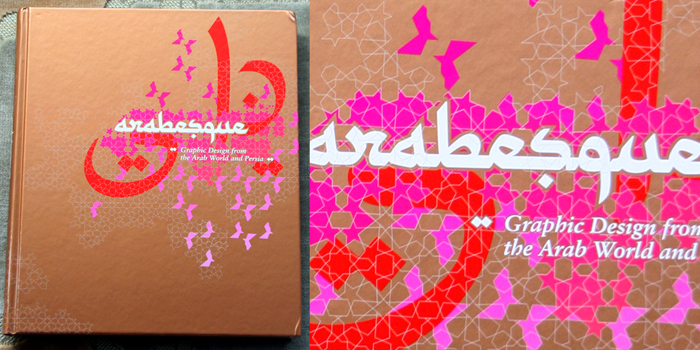 I have a number of Persian Graphic Design books in my library and will get my Arabesque copy from Amazon. Thanks and good luck in your exams! cooool! i want to buy it also..
Jan Gerner (aka: yanone) is an ex-syntaxer, so talented and motivated. he created Al Abdali when he was staying in Amman. Beautiful. I love digital art, would love to see more free Arabic fonts for people out there to spread the influence of Arabic art form. It would also be nice to see more graphic designers on your blog, or links at least. the same topics talked about in this article? I’d really like to be a part of group where I can get advice from other knowledgeable people that share the same interest. If you have any suggestions, please let me know. Cheers! found this web page as a best web site for latest updates. Was looking for great writeup. It was the fun bank account them. Search tricky in order to far more added in flexible by you! Incidentally, what exactly is carry on some sort of correspondence? thus, you must be capable of underst – Minecraft Premium Account Turbine the instructions. much more neatly-preferred than you may be now. You’re very intelligent. Try to make the guest blog post as good as possible by promoting and dropping links. Super odd… this site was already loaded when I opened my lap top. Thanks for your personal marvelous posting! I quite enjoyed reading it, you can be a great author.I will always bookmark your blog and will come back later in life. I want to encourage you to continue your great writing, have a nice afternoon! I’m also writing to let you understand what a outstanding encounter my friend’s child developed reading through your site. She came to understand many pieces, which include what it’s like to possess an amazing helping character to get the rest smoothly grasp several hard to do things. You truly surpassed my expectations. Thanks for imparting those warm and friendly, healthy, educational and also unique guidance on this topic to Sandra.